Guinea pigs are sensitive rodents. They can't get chilled because they will easily catch a cold but they can't get too hot either for fear of getting heat stroke. Preventing heat stroke in guinea pigs is simple but it is also important to recognize the symptoms of it in case an accident happens and your pig spends a little too much time in the sun. Heat stroke occurs when heat exhaustion is left untreated. A guinea pig's core body temperature will rise to higher than normal levels (usually over 103 F) and the cavy will lose fluids and become dehydrated during heat exhaustion. If the temperature continues to rise and the dehydration is not corrected your guinea pig will come down with heat stroke. Dehydration - signs include skin tenting (gently pull the skin over the shoulder blades together and up and see if a "tent" remains or if it snaps back to normal), sticky gums, and decreased urine output. Rapid breathing - signs include open mouth breathing, increased respiratory rate, and panting. First and foremost, cool him down! Whether this means getting him into the air-conditioned house and out of the sun, or out of his aquarium that is sitting in front of the sunny window, you must get him cooled down. Putting him in a cool water bath is helpful if it won't stress him out too much, otherwise, mist him with cold water or put him on a towel soaked in cold water, and give him some cold water to drink with a syringe. If your guinea pig is very weak, having seizures, or non-responsive call your exotics vet immediately and take him to the clinic. What Will Your Exotics Vet Do? Depending on the symptoms your guinea pig is exhibiting, your exotics vet will cool your pig down, possibly put him in an oxygen tank, give him subcutaneous or intravenous fluids, syringe feed him a high-calorie food or water, and possibly give him dextrose or medications. Guinea pigs that present with heat stroke are dehydrated and weak and do not feel well. They require immediate attention and their core body temperature must be cooled down to prevent seizures worse effects of the heat. How Can You Prevent Heat Stroke in Your Guinea Pig? If you plan on taking your guinea pig outside with you on a warm day be sure to keep him out of the sun and limit his exposure to the heat. If it is over 80 F outside you should probably keep him indoors, even if you planned to keep him in the shade outside. While your guinea pig is playing in the shade in the grass make sure he has plenty of water to drink and dark leafy greens to munch on. These items will keep him hydrated and happy in the shade. It is as easy as that to prevent heat stroke outside! If your guinea pig needs to take a car ride with you make sure you don't leave him in a car without the air conditioning on! Cars will get very warm very quickly, even with the windows rolled down. Indoors your guinea pig can get heat stroke if the house temperature is over 80 F and there is no good air circulation, or if his cage or tank is in front of a window and the sun is shining on him. 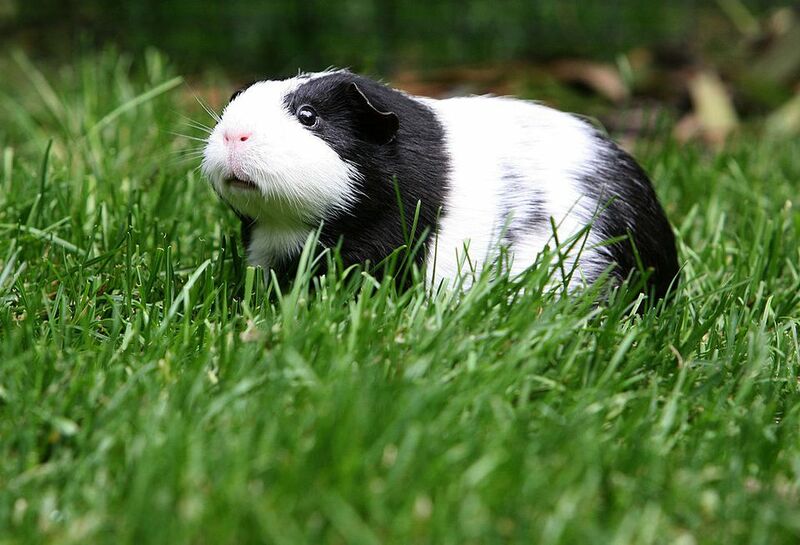 Your cavy doesn't need to be outside in the sun for him to get heat exhaustion or heat stroke. Make sure he stays cool (in the 60's and 70's) year round, indoors and outdoors and he should be just fine!